A baby elephant left abandoned and wounded after falling into a well in Kenya is now recovering and growing, through the efforts of a local company. Ronco Cayman sponsored Ngilai the elephant and helped with the animal’s recovery costs through its “Hand Up” charity initiative and the David Sheldrick Wildlife Trust. The trust’s rescue team managed to get the elephant out of the well and relocated him to a nursery. Now the one-year-old is thriving despite his traumatizing start. Three-week-old Ngilai was discovered stuck in a well in March in Ngilai, Kenya. 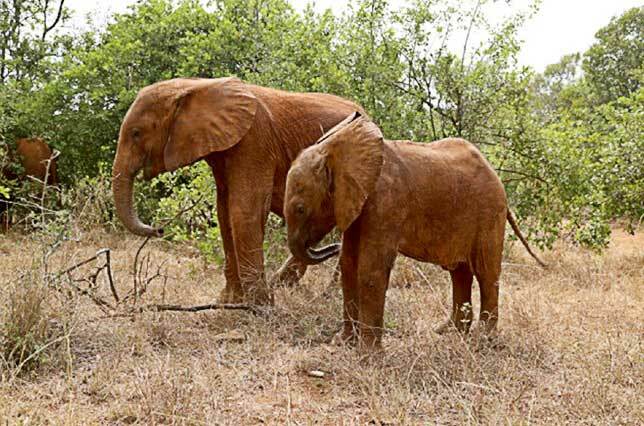 Unable to escape and join his herd, Ngilai was abandoned. Ronco’s donations helped with the medical needs and costs associated with Ngilai’s food and shelter. For more information on how to sponsor, foster or donate visit www.sheldrickwildlifetrust.org.